When American Horror Story premiered in 2011 with its first season, Murder House, audiences could be forgiven for expecting a middle-of-the-road, horror-tinged series after watching creators’ Ryan Murphy and Brad Falchuk’s pulpy nighttime soap opera Nip/Tuck and their rambunctiously effusive high school musical series Glee. However, from the opening moments of Murder House, it became clear that American Horror Story would keep its predecessors’ must-see TV qualities but warp its lens – and the reality revealed to its audience – to dizzying and terrifying degrees. 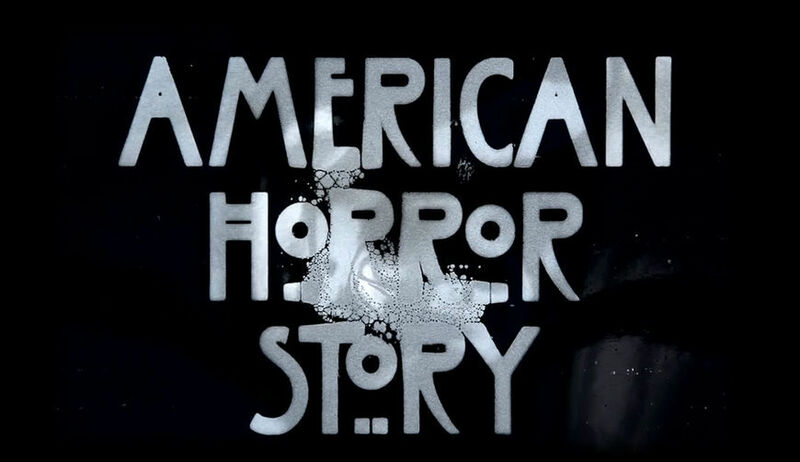 Over the course of its seven seasons, American Horror Story has grown into a pillar of prestige television with each season focusing on new themes, stories, and characters and featuring a stable of actors – including Sarah Paulson, Evan Peters, Jessica Lange, Lady Gaga, Cuba Gooding Jr., Angela Bassett and many more – making multiple appearances as multiple characters throughout the series. 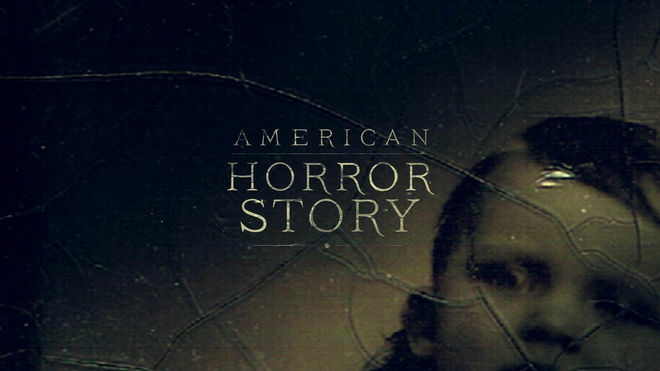 From its inception, American Horror Story has sought to push the horror genre forward. 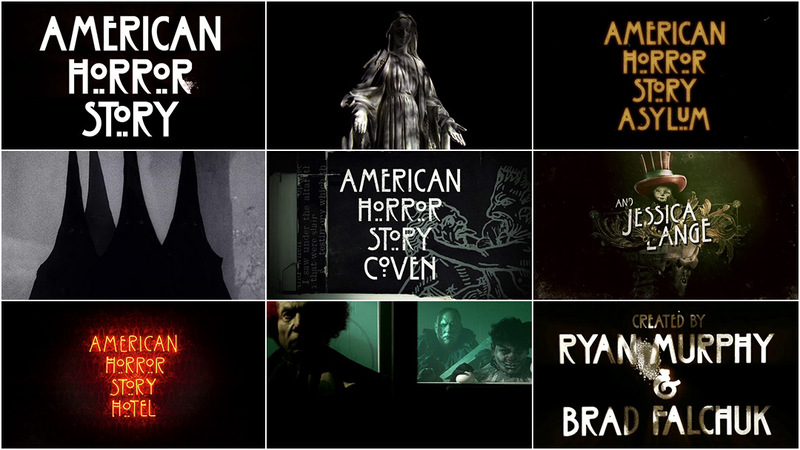 That desire to create new and contemporary nightmare fuel was cemented when Ryan Murphy and Executive Producer Alexis Martin Woodall approached title designer Kyle Cooper to create a title sequence for the show. Known for his work on title sequences for Se7en, Mimic, and The Walking Dead, among countless others, Cooper worked with the AHS team to merge the themes, imagery, and even the occasional plot point from the series to tantalize viewers. 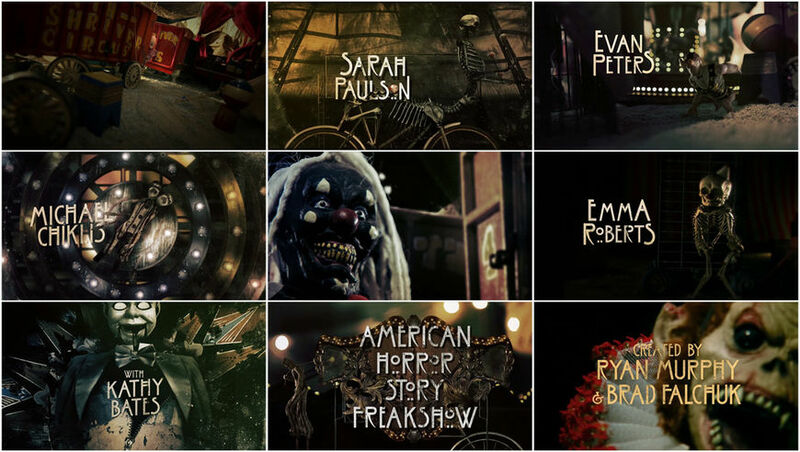 Each season of American Horror Story presents a different story arc, time period, and cast of characters, as well as a new title sequence designed to bind the anthology series together while laying the season’s thematic groundwork. 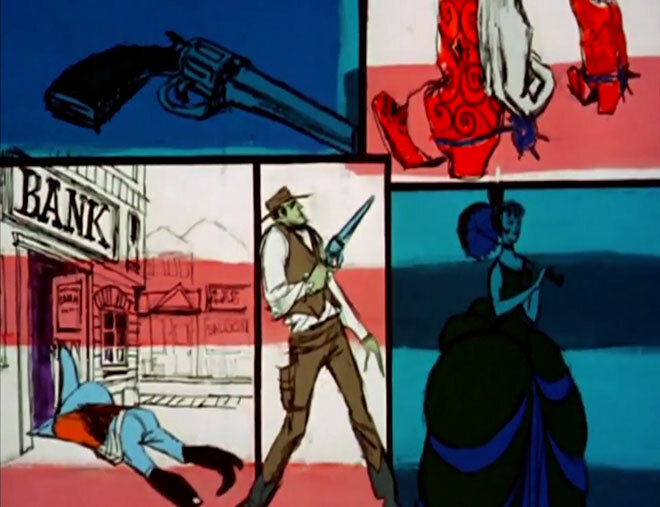 The series' title sequences have become so popular that they are often among the first pieces of marketing to be released for a new season, allowing fans and critics alike – if they dare to watch – to mull over potential clues or insights into what horrors they have coming to them. 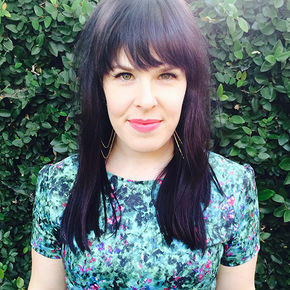 A discussion with American Horror Story Executive Producer ALEXIS MARTIN WOODALL and Title Designer KYLE COOPER of Prologue Films. Alexis, can you give us a bit of background on yourself and your role on the American Horror Story series? Alexis: I’m the Executive Producer for Ryan Murphy Television and I produce all the shows we do under this banner including American Horror Story, one of my oldest and favourite children. On the show I’m the Creative Producer on the back-end, so of course I deal in prep, I read the scripts, and talk about it with the writers and Ryan Murphy, but really and truly with the writers. Ryan and the directors go off and do their own thing and I really take ownership after the cut is done. The editor has the editor’s cut and the director has the director’s cut and after that the shows come to me. I watch them and I think about what story we’re telling and are we doing it the right way, do we need to change the score, do we need to change the structure? So I like to think about orchestrating all of our many moving pieces to elevate the story and make sure we’re doing our best to scare and entertain people. 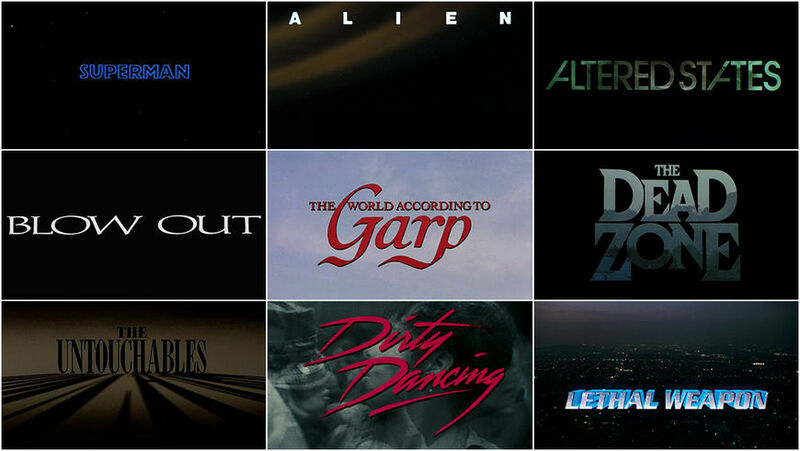 That’s why I’m so passionate about main title design because I think tone is everything. A great main title sequence sets the tone for everything. A great main title sequence sets the tone for everything. As a producer, what do you feel the role of a title sequence should be? 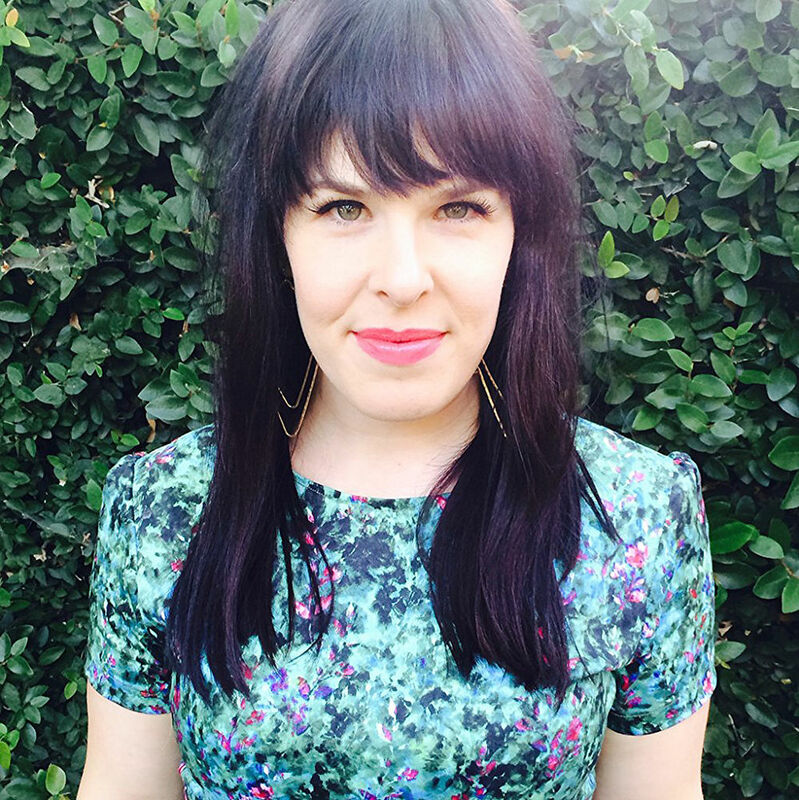 Alexis: What’s really interesting for me as a producer is that I love main title sequences so much but I do not believe that all shows need a main title sequence, so that immediately begs the question – what does need a main title sequence need to do? I think, especially with a genre like horror, a main title sequence tells you where you are, time and place, and what is the world you’re about to enter into in that one minute or 45 seconds or whatever you get to play with. You have your audience member sitting there and maybe they didn’t know what they were getting into, but it’s your job to say, hey, we’re just scratching the surface of where you’re going to go. How we’re going to make you feel for this next minute is how we’re going to try and make you feel for the entire series. Kyle, how did you and your company Prologue become involved in American Horror Story? Kyle: In the lead up to season one, Ryan Murphy called me. He had seen the title sequence for Se7en and some other things [I had done] and asked if I wanted to work on American Horror Story 1. That’s really how it happened. 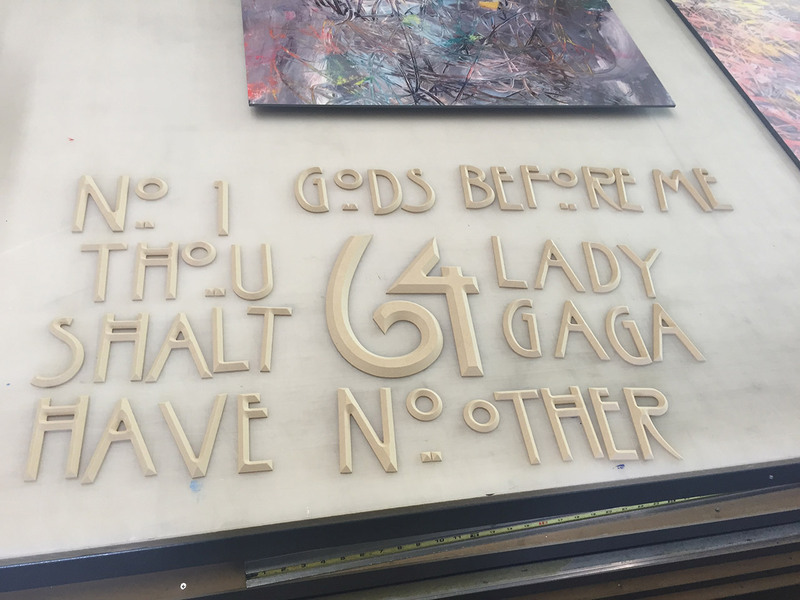 I went to his office at Paramount, he had a nice, very beautiful loft space, very artistic, outsider art kind of things. We didn’t exactly know what we were going to do in the first one. He gave me the scripts and I never really see any of the show before I [work on the title sequences]. It’s usually before they start shooting that he calls me. Kyle: So I just had the scripts, and I read all of them, I read all of them before I met him and I pulled a bunch of references. I think we knew [the title sequence] was going to be live action or we wanted it to be live action and I wanted to shoot it for the first one. So the kinds of references I was showing him were things to photograph that had to do with the show. 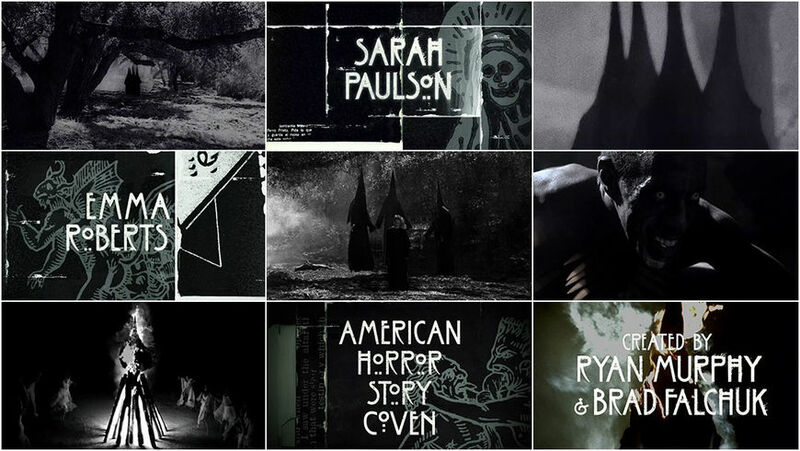 At what point in any given season of American Horror Story do you begin to work on the title sequence? Alexis: What happened at the very, very beginning Ryan said to me, I want to do a really cool title sequence for this and I want to do it with the guy who did the titles for Se7en. I said, that sounds awesome, I had always wanted to work with Kyle Cooper. So I cold called Kyle and his producer who works with him Kate Berry and they came to Ryan’s office and the four of us sat down and had a meeting. Ryan talked about what the first season was, which was Murder House, that it was a psycho-sexual horror story and he talked about elements from the script and the power of the basement in this house. Kyle said, "okay let me go away and think about it and come back with a series of images" and we went from there. Title Designer Kyle Cooper directing a shot during the production of the American Horror Story: Asylum title sequence. Alexis: As the years have gone on, once Ryan conceives of what he wants the season to be about, Ryan, Kyle and I get together often before we’ve started production so we can talk about the things Ryan is attaching to from the scripts and the things that make sense to me and what we can get going and ruminating in Kyle’s head. So I would say we average talking about them three months before we start shooting so it gives Kyle a chance to go away and think about it. Because Ryan and I work so closely together in the creative, we want what’s in Kyle’s head and his take on it because he has a different perspective. So in a Venn diagram of taste we all align in that place of elegant, gruesome horror. It moves really quickly from there, it takes about a month to nail down what we want, shoot it, get the first cut back, and talk about moments we like, moments we don’t like, how we can make it better, but it’s a really tight process and the three of us work really closely and really well together. What is the process of collaboration like on these sequences? Kyle: I research as much as I can. If I have a script I read the script. I show them references and Ryan talks about the kind of things he wants to see. I talk about the things I would do. It’s become a bit more freeform because sometimes I make things up while I’m shooting, but it’s always in the same kind of wheelhouse as what Ryan and I have talked about. I bring my weirdness and Kyle brings his darkness. Kyle: I’m not sure what kind of direction he gave me on the first one. I said I like the Infantata in the basement and I like all the pictures of the people who had lived in the Murder House, kind of frozen, kind of looking on, their eyes wide open, I thought it was really interesting to have all the people who had lived in the house in pictures, kind of frozen and forced to look on at the proceedings in the house. I went to the set which was in Hancock Park and it was a craftsman house and it had stained glass windows, the furniture was kind of art deco-y. There was plastic over a lot of the furniture. [Ryan] played me in his car a bunch of songs that he thought would be good for the background and I cut some stuff to the songs he liked or songs the music supervisor intended to use in the first episode. So I took the music he had at that time and walked around the set. And I guess the things I remember from the set were the plastic coverings on the furniture and he did say, in terms of input, because the house was a Craftsman house he had a Frank Lloyd Wright book on his desk and the title of it was set in an Art Nouveau font. It wasn’t exactly the font we used and I didn’t so much like the Frank Lloyd Wright font, but I liked the Charles Rennie Mackintosh font which was similar. They’re both Art Nouveau, Craftsman kind of things, but I changed it to the Mackintosh font and Ryan liked it. And it’s interesting because that font kind of became the brand. A lot of the things we did in season one, which is also true of Walking Dead, we established the typography and the logo and the marketing typography in the main titles that they still use. Even Universal Studios had the branding in the Universal Horror Nights they did last year. It’s nice to see a typographic idea at the outset kind of grow into the brand of the show. Kyle: In terms of the brand of the show, the editor I was working with at Prologue [Gabriel Diaz] had a friend or a relative [Cesar Davila Irizarry] that was a young guy who manipulated sounds and he had this old one that was like coat hangers banging together and there’s a guy from Nine Inch Nails [Charlie Clouser] that I guess this other guy sort of knew. I’m not sure how it all came together on their end, but the guy I knew recorded coat hangers banging together and he would distort those sounds, so the editor had that piece of music and Ryan had never heard that so I put one of the edits against that music and it’s cool. There’s kind of like a buzzsaw that winds through it, a very disturbing piece of music and Ryan liked that. And yes, we’ve updated the music for Freak Show and Hotel and even now [in Cult] it’s more patriotic but still based in this mood of this thing we found. Did the team have any specific directions that helped inform the Murder House title sequence? Kyle: The interesting story about the first season for me, Ryan certainly gave me specific direction. He told me this horrible story about a news story about a doctor who was giving illegal abortions in the Griffith Park area of LA and this woman got one from this doctor. Her husband was kind of a nut and, I think, a fundamentalist guy that had lost it and he kidnapped the doctor’s daughter who was very young because he was angry that his child was killed by this doctor in his eyes. So he cut this daughter in half who was wearing a christening dress. It was this real crime and it was this horrible thing that influenced what [Ryan] was writing and working on and I just kept thinking about the Infantata, which is where the christening dress comes from. 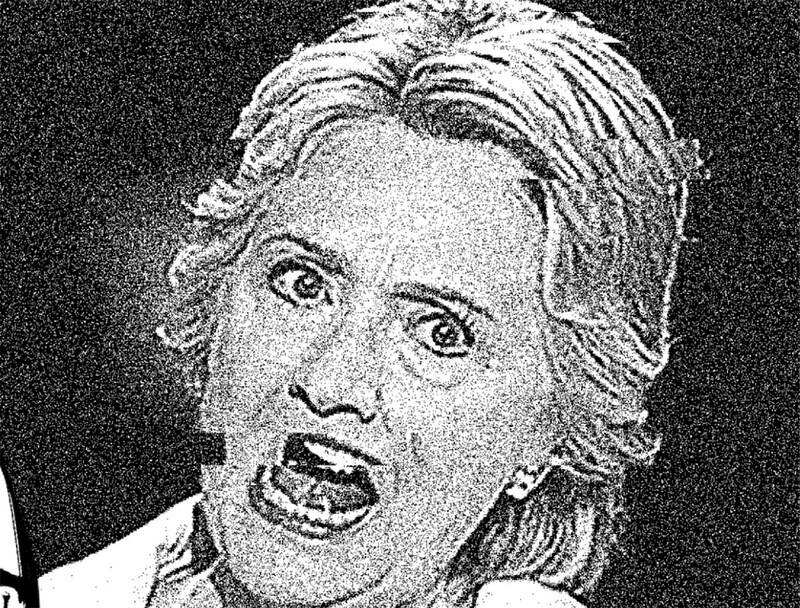 The Infantata is this creature in the basement of Murder House who wears a kind of christening dress and is demonic and kills people. So I was shooting Final Destination 5 and we found this old Mary Pickford stage with a basement and trap door [that we needed for a set up]. I didn’t have a purchase order or agreement, but I had my crew there so I was thinking about the little baby, the Infantata running around in that basement and located a Super 16mm camera, which has a more grainy quality. Up until Hotel I shot everything [for American Horror Story] on a Super 16 because I liked that quality for the show. I was running around that old theatre basement with that Super 16 and they were trying to follow me with the light. If you remember the first title sequence, it kind of goes into this pit which is one of the things I found in that basement. 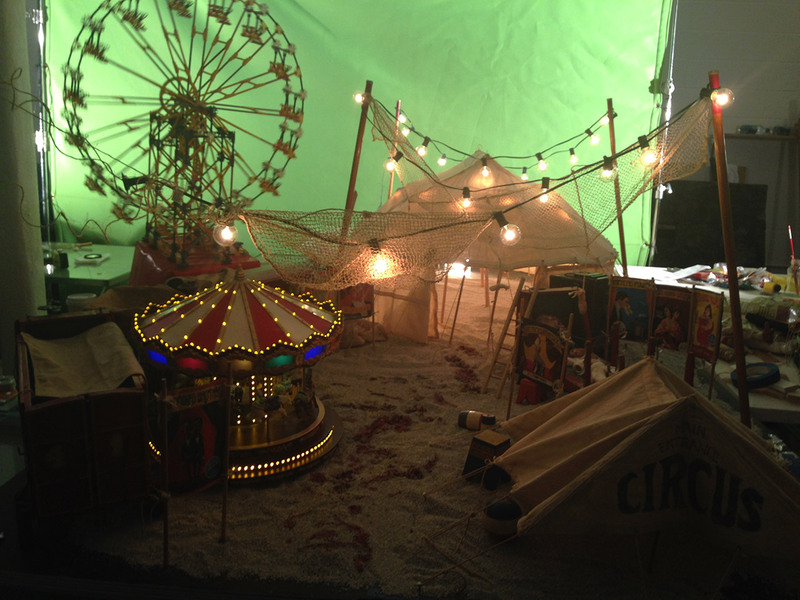 I started setting up these vignettes and I mentioned the house that I had looked at originally with the plastic all over everything, so I got underneath the plastic on one of the chairs and shot from there and we’re running around this place and shooting anything we could set up. We found hedge trimmers, some of the things were specific to the content like the christening dress that’s kind of floating in the water, and I told Ryan that because he had this illegal abortion story I was going to try and shoot some babies in formaldehyde. The first time Ryan saw what I had shot, it had that music and he just liked it. It was scary, I thought it was scary. You have to try and scare yourself. Tear down things that you hold sacred, put yourself in a situation where you’re actually uncomfortable that you’re shooting that. Sometimes it’s even surprising to me what we’re able to get away with. 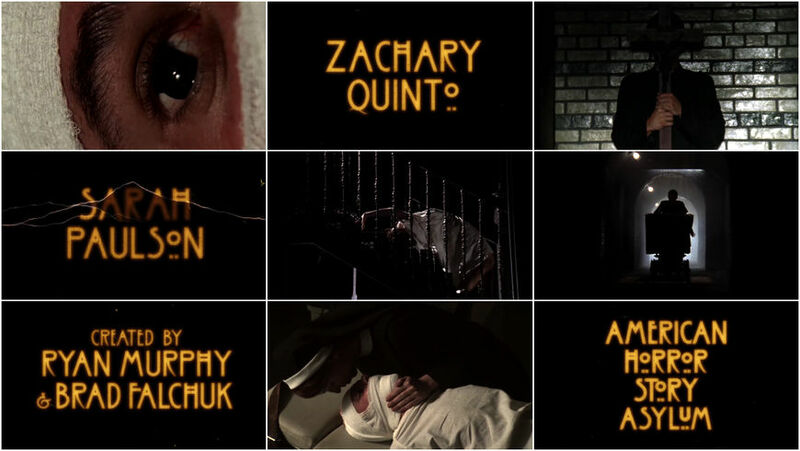 The AHS title sequences are so provocative and subversive, have you ever had push back from the network or internally about the content of them? Alexis: Sometimes it’s even surprising to me what we’re able to get away with. FX has always been incredibly supportive and by and large they really give Ryan free rein. They trust us to edit ourselves before it gets to them. With us, usually what happens is Kyle sends me a cut first and we’ll talk about it. I say, I know Ryan will love this shot or can we move this shot here? So Kyle and I do one or two passes together and then we show Ryan and go from there. Ryan will say, I love this shot, I never want to see that shot again, what about moving this here? Because we’ve talked beforehand and we trust each other, we like to see what Kyle presents and then we like to see what sticks with us and it becomes a discussion. Alexis: What was really cool about this season (Cult) is that it’s a pretty politicized piece and the title sequence initially was a bit more Trump heavy than it needed to be and we hadn’t quite gotten there in terms of the edits of the episodes yet. After watching it, Ryan wanted to lessen the Trump elements and heighten the hive. Kyle went back and shot some extra and he shot bees. We hadn’t shot the bees before. 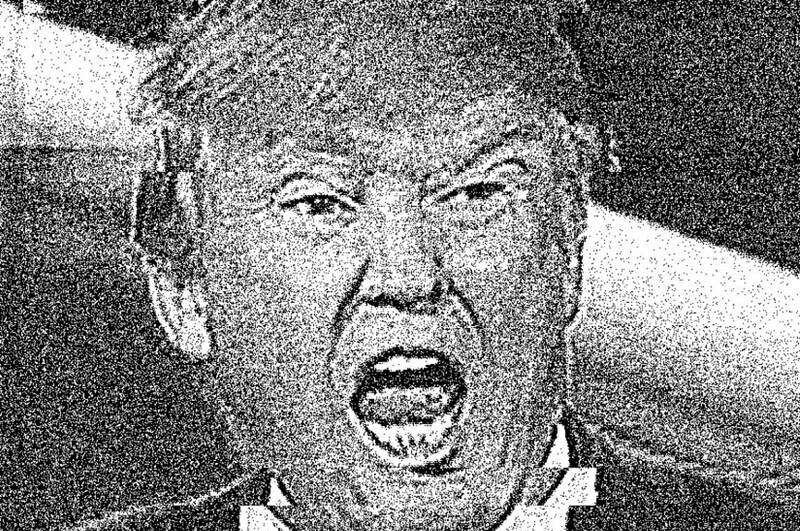 Ryan and I, having had time to sit with the episodes for a little while we realized there's an aspect that we were missing of the hive and of the cult, it didn’t need to be just Trump or just Hillary, there was a bigger picture. It was Ryan who said, I want a bloody hand on a honeycomb. Kyle said, should I shoot anything else? And I say, I think you should shoot the honeycomb and the bees and anything around that, anything to give it that delicious texture. When we got the new version of it back, it was perfection. It wasn’t skewing the audience to think it was only going to be about politics. 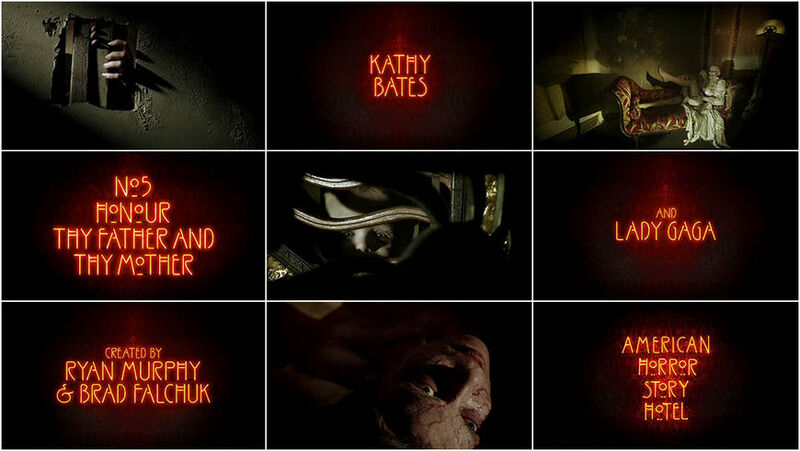 Kyle, there are tactile elements like the bees and honeycomb in all the American Horror Story title sequences. Can you talk about how you typically achieve those effects and how the pacing of each sequence impacts what you shoot? Kyle: There needs to be moments that hopefully jar you a little bit and we don’t have a lot of time to set up a lot of scares that happen in horror movies. If I can take something that happens, something violent, pause on something long enough that it’s disturbing. 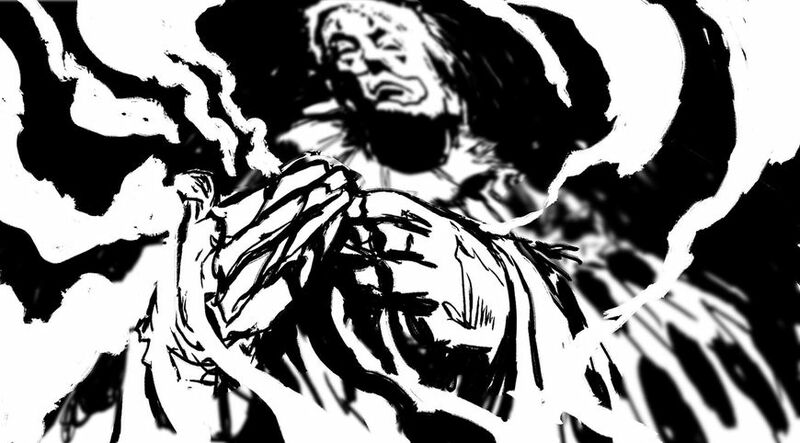 I really study every single frame in the sense of making a choice, the frame has to be beautiful by itself. I don’t like to cut anything that I think is beautiful. Sometimes I have conversations with editors that are about the cadence of certain images and I’m all about that too but I don’t want frames in there that I think are ugly. I don’t know if there was a beginning or a middle or an end in the first season but there was a thread of a camera move snaking through, and you think about contrast. If that’s a snaking move then I should have locked off shots punctuating that. There are seven titles and every shot is locked off, nobody talks about that, but it’s a conscious decision so if there’s any movement in the frame like a hand brushing against something tactile and it cuts to credit on a black background so you’re trying to create these refined editorial moments and you keep winnowing down the stock you have. I feel guilty that things aren’t super CG, I just feel very comfortable with the process of shooting things. But maybe that makes me old fashioned. It’s always interesting to me when people try to figure out why a certain shot is in there and interpret these things. Maybe Ryan is saying you should show something like that, or there are similar images in the show, or I’m just shooting things that are disturbing. You listen to everything then you spawn. Kyle: I like tactile things. I like things that exist in the world, like bees. You can study what a bee does to make a bee in 3D, but bees behave in a way that I never would have imagined [when we shot them for the Cult title sequence]. How do I know what fire is going to do? I like to let the fire do what it’s going to do. Tear down things that you hold sacred, put yourself in a situation where you’re actually uncomfortable that you’re shooting that. What are some of the differences between developing title sequences for film and for television? How are they different for you? Kyle: I feel like there’s a phenomenon. In my life, I remember being five years old and maybe my parents weren’t getting along or something, I yearned to watch Nanny and the Professor and settle into the theme song. It’s about this family where the mother dies then this nanny comes along and strange things keep happening but positive things. Kyle: Wild Wild West. I’d settle down with my brothers and watch that – I could watch the same thing every single week and I’m getting in the zone, I’m getting ready. And now people can just fast forward through the title sequence, but we didn’t have that luxury so I would so look forward to that moment of settling in to my favourite TV show. A TV title can do that but it also puts more pressure on a TV title because no matter how good it is, you don’t want to watch it over and over again I don’t think unless the music does something to you, like the Wild Wild West one did for me. 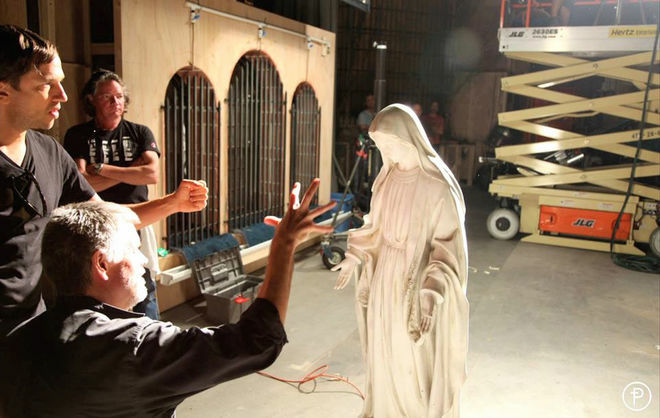 That’s the holy grail: to make a title sequence that people don’t mind watching. When you’re in a theatre watching something, the title doesn’t have to sustain itself over and over. 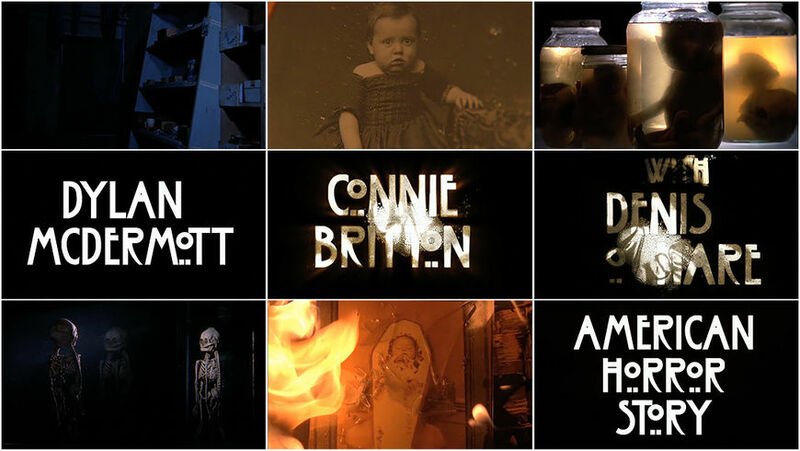 Do you have a favourite American Horror Story title sequence? Kyle: People like different ones. A lot of people like Asylum, I think I like the first one. There are shots in some of them that I like, and some I’m not sure about. But I wouldn’t change anything about the Cult one and I wouldn’t change anything about the first one. Alexis: I always change my favourite but I think Murder House will always be at the top because it’s the original. I remember the pause and the black screen and we come back with that loud noise and the skeleton in the attic with Jessica Lange’s title card, there’s something so magical about that. 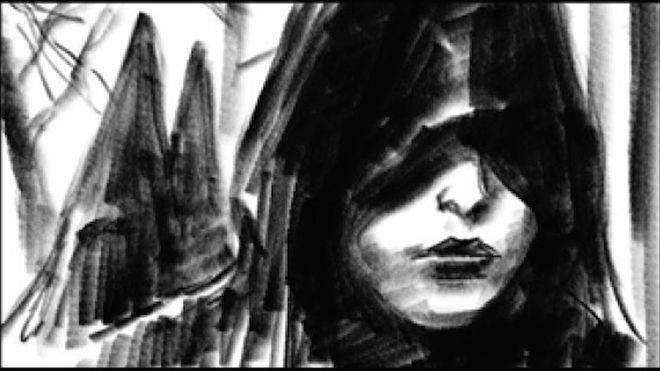 I think this sequence for Cult might be my second favourite when it’s all said and done. There are many things we may do, but we’re not going to mess around, we’re going to go for it and that’s probably the most fun aspect of the process. Fans dissect these title sequences for clues on the upcoming season. How do you balance giving clues to the audience and giving too much away? How do I know what fire is going to do? I like to let the fire do what it’s going to do. Alexis: There’s also the idea of the red herring of it all, where fans go down one rabbit hole and they’re convinced they know what the show season is about because of one frame in the main title and it has nothing to do with that, so that’s kind of fun to watch too. What I like about how the fans devour it is that we’re presenting mini-movies or mini-trailers for the season so there are more question marks than answers. Some of the clues or images may not pan out until episode 7. 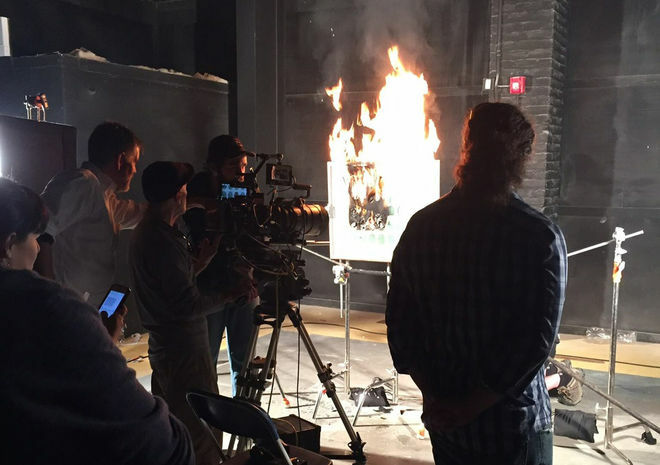 Why didn’t the Roanoke season have a title sequence? Alexis: Earlier I said I don’t believe all shows need a title sequence and I’m adamant about that. The nature of what we were doing with Roanoke, we were paying homage to a terrible kind of reality show, that has its own personality. 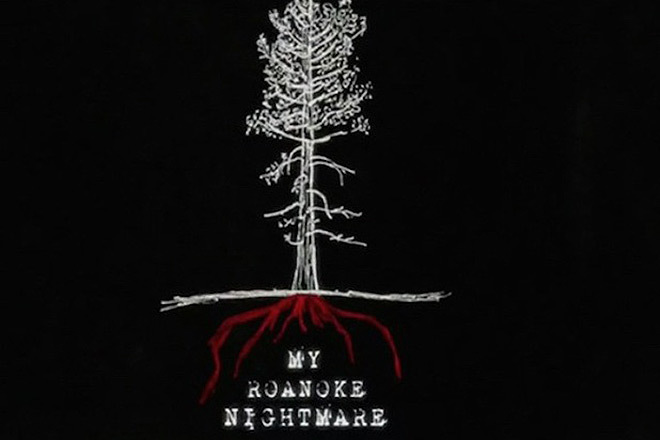 To break that wall when you go to the title card, My Roanoke Nightmare with the crazy, scribbly text and the angsty, bloody tree and then go into a title sequence? The question becomes, what are we telling the viewer to care about? Are we telling them, don’t ever really buy into My Roanoke Nightmare because don’t worry, it’s just American Horror Story or are we really trying to be subversive? Ryan said, I think we should do one. And I said, I don’t think we should. It was a real conversation because we are so known for our title sequences, but we were doing so many other subversive things in terms of the path of the show and season six was like nothing else we had ever done. Why not try doing something else we never done? Why not try it without a title sequence and tell the viewers about this show, My Roanoke Nightmare, that just happens to be part of American Horror Story? I’m proud that we did that, I think if we had done a full-on title sequence it would have been a presentational distraction. We knew that there was going to be backlash, but you can’t make choices because of potential backlash, you have to make choices that are right for the story. We needed a break from the sequences we were known for, we needed a fresh start. We needed to step away from the images-title card, images-title card, images-title card, we needed to creatively make a decision about what was best for the season and commit to what we were doing with My Roanoke Nightmare. Kyle, what are some of the challenges you’ve faced while working on this series? Kyle: On Asylum, I said get a pig’s head because some horror movies have pig’s heads in them. I needed something disturbing to put on this bed we were going to shoot. So we got it and we start late because we couldn’t get rental equipment or something. We were shooting on the sets that season so it feels bigger. There was one set up where I was trying to get this actor to rock back and forth on the bed and she just didn’t want to do it, so I went in. So in the Asylum title there are three shots, one of a person cowering in the corner, walking back and forth like Rain Man and seated on the bed which were me. Kyle: And the woman, they walked by her with this pig’s head to bring it to another set that didn’t involve her and she complained to some actor’s thing that we made her work with a pig’s head. You’re working with these things that are disturbing and gross, there’s a discomfort about it and yeah it’s just a movie or TV show but there’s an awkwardness to it. Kyle: On Cult, I had a fake dog and I wanted to have this green gas reveal the fake dog. I needed a special fireman or pyro guy to use these canisters that were going to release this green gas. I had the dog framed up and I said, put the green gas in. Instead of placing it to the side of the dog where I wanted it to be, he tossed it in front of the dog so all the green smoke came out and it stained the face of the dog and I’m looking at it thinking, I know this dog prop cost $2800. And I turned to the guy and said, I either need to pay $2900 to replace it or $1600 to clean it. We stayed up all night shooting so we went into the bathroom we were shooting and we through in one of those green canisters then we all had to run out so we locked down two cameras and let it loose. So the next day I had to spend $680 to professionally clean the bathroom. Kyle: I like what they did with Stranger Things. 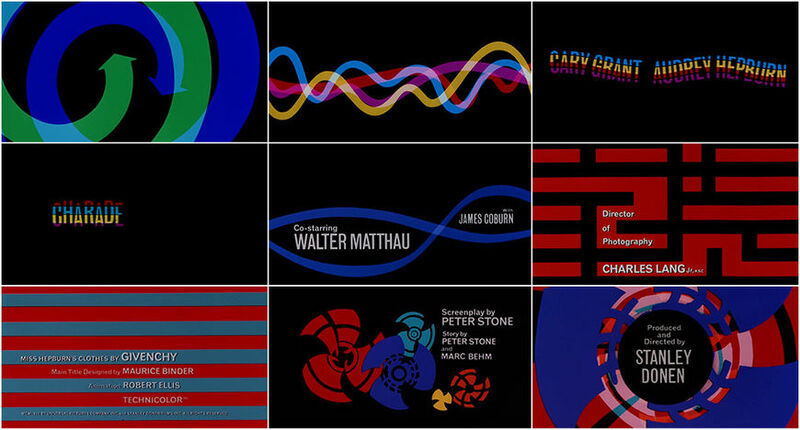 I didn’t look at Saul Bass when I wanted to be a title designer, I looked at Altered States, The Dead Zone, Alien, Blue Steel – whatever Richard Greenberg did. They were doing a mysterious graphic thing, dialing up the typography. That’s the holy grail: to make a title sequence that people don’t mind watching. R/Greenberg Associates: A Film Title Retrospective – Read more about Richard Greenberg here. Kyle: American Gods does a lot of interesting things, mixing in mythology and elements of Americana. What I liked about it was the tearing down of these idols like the astronaut on the cross, like a false god. I found that very meaningful and fun. I like Six Feet Under as well. I like sections of the James Bond, Skyfall – the moment where the skull pops out of the grave I thought was fun. When the face teeth of the skull become gravestones in the z-axis. Alexis: My favourite is Charade, that’s my all-time favourite film, the title sequence by Maurice Binder is wonderful, it has tempo and movement and you have Henry Mancini’s theme underneath which makes it live. Feud [also produced by Ryan Murphy and Woodall] is our modern nod to Vertigo, Anatomy of Murder, and all those classics. Alexis: I’m also sort of a weirdo, in terms of title sequences and mood. I think Star Wars is insane. I think it’s so good, it’s so simple. It’s a combination of music, mood and scroll, and presence coming in from behind the viewer’s head, it a really great moment. I also love Woody Allen for those reasons, you know where you are every time. You know that typeface, the white letters on the black card, you hear your Django Reinhardt or any other jazz and it is exactly right for that world. I’m also really obsessed with Stranger Things even though it pisses me off that we’re up against them [for an Emmy] with Feud. Every time I watch that show with my husband I say to him, I want to wrap myself up in that sequence and never leave. There’s a real elegant simplicity to it, like an 80s horror movie mixed with a Stephen King paperback cover. The one thing I will say, it makes sad that Netflix is offering an option to skip the title sequence. I hate it. Let the art be presented as it is, because it is art.